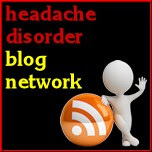 Migraine Monologues: New Treatment Breakthrough? I'm sure by now everyone is aware of the 'new injection' and 'new medication' headlines that broke this past wednesday. 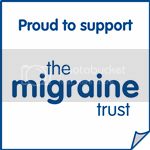 I was actually asked to speak on BBC Radio 4 about the impact migraine has on my life but, ironically, was in the midst of a major 'migraine hangover' so didn't think I'd be any use. I'm hoping to get an interview with Goadsby himself so I'll let you know when I know. But, I'm pretty darned excited. This is the first such treatment breakthrough for years and years (I think) - and it just goes to show that we need more funding and more research to keep stuff like this happening.